Over the past 40 years, nearly 20% of the Amazon Rainforest has been deforested. Every few minutes, up to 200 football fields worth of precious Amazon jungle land is destroyed by various corporations and governing bodies. The Amazon rainforest houses both contacted tribes and tribes living in “voluntary isolation”. Indigenous knowledge of local flora and fauna – which could be the key to unlocking the cures to many modern diseases – is disappearing as indigenous culture and practices are undermined by “modern” society. "Should Society Be Contacting the Amazon's Uncontacted Tribes?" "Do the Amazon's Last Isolated Tribes Have a Future?" 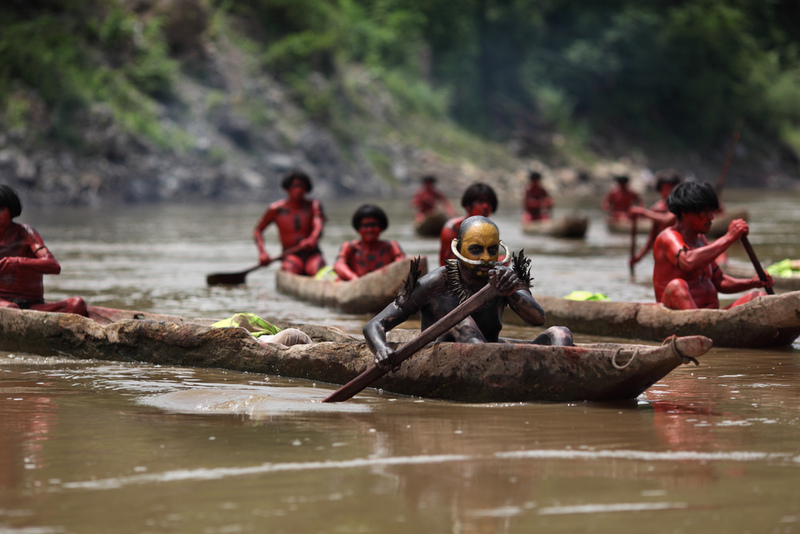 "First Pictures Of Last-Uncontacted Amazon Tribe"
"Uncontacted Tribes Still Exist, But Extinction Threat Looms"